Looking for a great bridesmaid gift? Check out Lollia! Their products include great gifts like creams, bath salts and bubbles, perfumes, and candles in adorable packaging. All of their scents are relaxing, subtle, and gorgeous. Some of our favorite scents are classic petal, lavender and honey, peony and white lily, and wish. The packaging they use is so amazing and unique that sometimes you won’t even want to open the product! 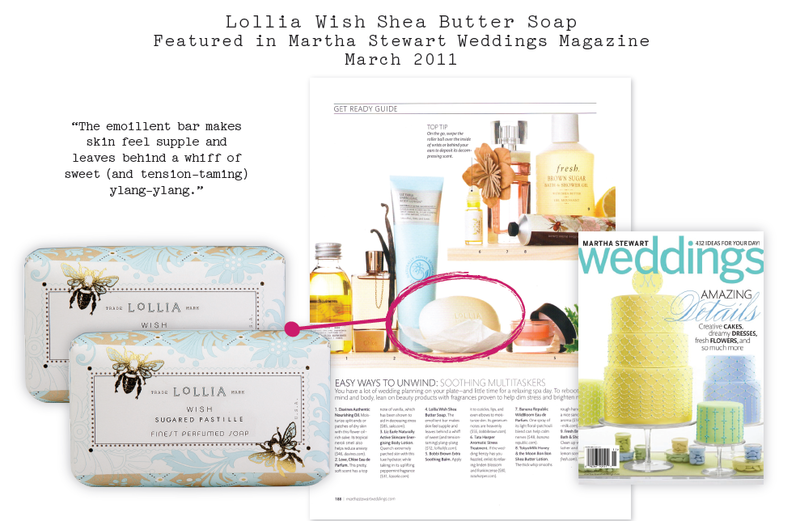 Lollia is regularly featured in Martha Stewart Weddings and Brides magazine, and is one of Oprah’s favorite things, so you know they will be great. Come down to Blue to check out some of our favorite products!